Every child has a story to share a song to sing. Whenever I look into their innocent eyes, I see fairytales of the future. On one such day, I narrate the songs in the little child’s eyes. Childhood the blissful years of my life. All I need is a big bright smile. I jump, lay and run all day long, singing the merry go round song. My days go by running in the meadows, hunting wild butterflies. My favourite, is playing silly peekaboos. Up I go in the slide trying to reach the sky. Chasing my dreams, wearing mom’s high heels. I walk to my school jumping in a messy water pool. But, as soon I walk down the streets, on my way to work, I see a huge population living on the edge of the street. These people look different, we live in the same time zone yet it looks, like they live in a different decades. 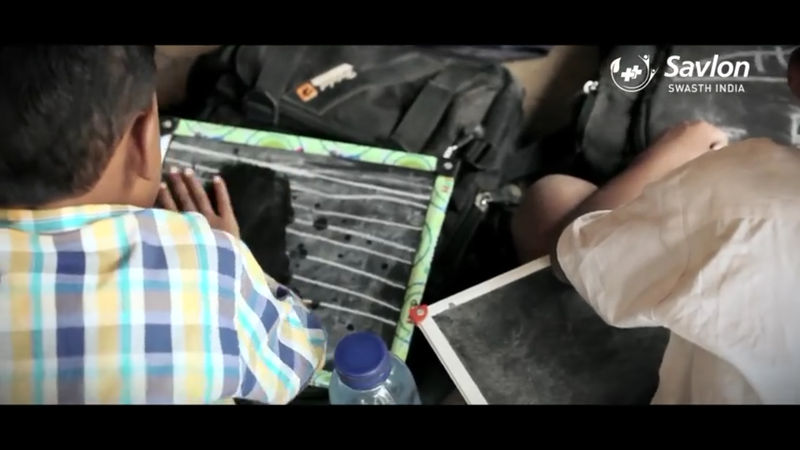 There are kids who are not going to school, working hard to make ends meet. I peep into these young eyes. I see a different story. I am young, I believe I am small. I wonder, if I really have to be in a big long factory hall. I work all day long, in the dark tarnished room. My heart cries for one last game of peekaboo. If I could get a chance, out in the meadows running behind the butterflies. Sitting under the sunshine, glancing at my soar hands and looking up in the sky. I wonder, will I be a little child? For I was grown up even before I was five. Dear heavenly father, if you could grant me a wish, grant me I should go back to school. These little eyes said the same story every day and pierced my heart every time I cross pass ways with them. So, one day for my heart’s peace, I found myself talking to the children’s parents and trying to encourage them to send their kids to school and if could save even one small life from being ripped into the vicious cycle of labor and pain. I was surprised to know, a lot of them are keen on making their kids educated and ensure a good life for them. However, many of them complained that when they sent their kids to school, children ended up falling sick very often and ultimately didn’t go to school. I wanted to learn more about this and inquired with a friend of mine, who teaches in a local government school. I couldn’t believe my ears for the reasons I discovered for children not going to school. It seemed so irrelevant to hear, but it had a huge impact. As children play, learn and write with white chalks at school. And class time is followed by meal times with no proper hand wash routine for little children. Pre-meal hand wash means only a quick rinse under the water, many children at times also tend to miss out on the rinse before eating. 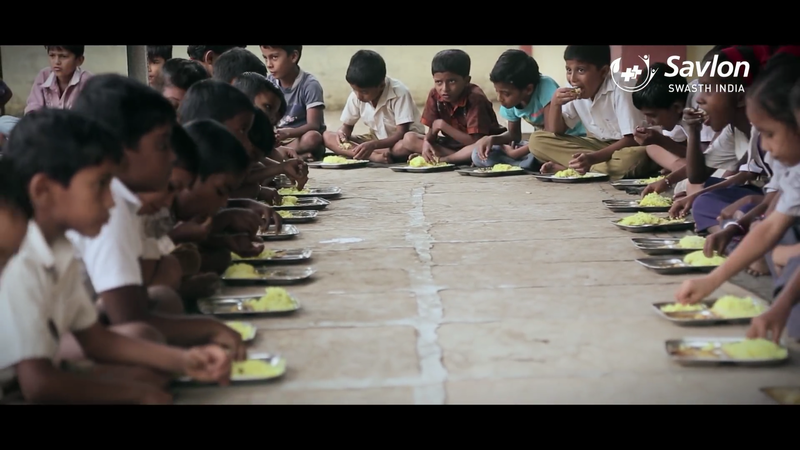 And along with their meals at school little children end up eating the germ’s and fall sick. And parents find it very difficult to keep up the medical expenses. ”Creativity is the power to connect the seemingly unconnected” – William Plomer. These lines seemed to me as an answer to all my mingling thoughts. I felt innovation, intellect and creativity can help us solve stagnant and hideous challenges. 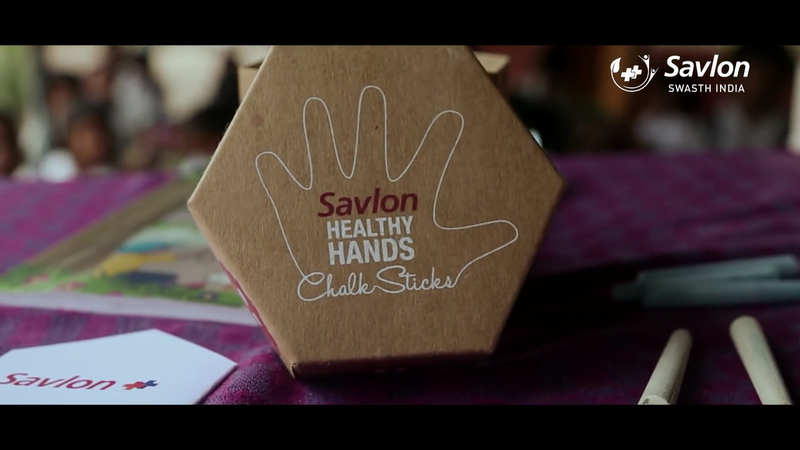 And as I reached home, I switched on my laptop and still looking for a solution I came across a video and learnt about the Savlon Healthy Chalk Sticks introduced by Savlon. After using the chalk stick, the chalk powder left behind on the hands turns into a foam cleanser. Since, there is chalk powder on the hands, a child rushes to wash his hands hurriedly, but when he watches the chalk powder turn into soap like cleanser, he rubs the soap thoroughly before rinsing it off. 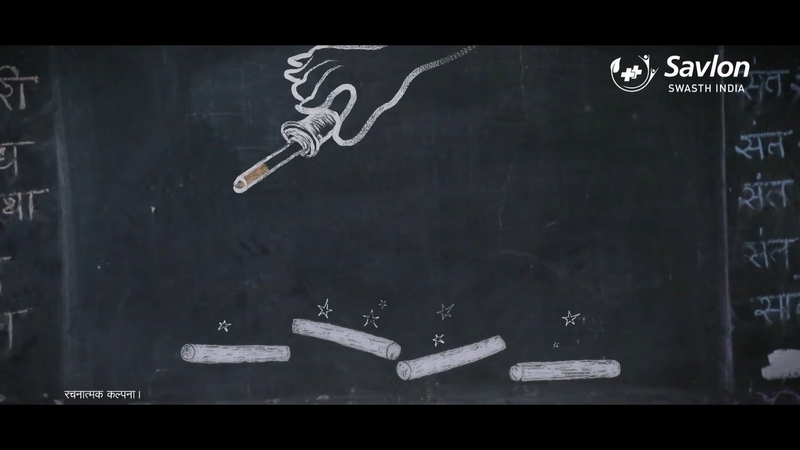 I felt, I felt so happy and fortunate as the Savlon Healthy Chalk Sticks, seemed to be just the creative solution to the issues of the children’s health in schools and answers that I had been looking for days now. After watching this video I also was assured and satisfied to know that there are many people worried and taking action to ensure to send the street kids to school so that these young people can cherish their childhood. Savlon and me providing, simple solution to big problems and helping the community brighten up the dreams of the future.